Pick up lunch or a snack at our two Cafés! 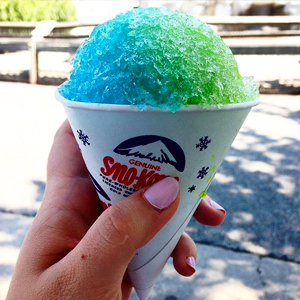 the Penguin Falls Café is located adjacent to the African penguin exhibit. 13 Covered Pavilions are located right inside the entrance to the zoo. 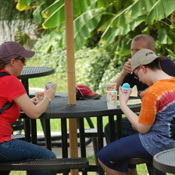 Picnic Areas are located near each café with umbrellas to provide shade for guests. Playground Picnic Area is located in front of our playground. Benches are located throughout the zoo. –Outside food is allowed. Coolers welcome. No grills, alcohol, or glass. 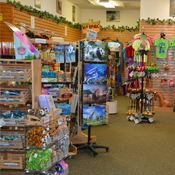 Zoo Gift Shop is located just inside the front entrance. This gift shop offers a wide assortment of souvenirs such as plush animals, animal print pottery, t-shirts, hats, and more! Treetop Zoofari Souvenirs are available for purchase in the Zoo Gift Shop and in the Treetop Building. These souvenirs include t-shirts, baseball caps, water bottles, and draw string bags. 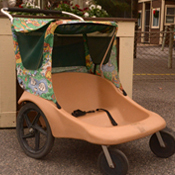 Restrooms are located at the Zoo entrance, Treetop Zoofari entrance, and in the center of the Zoo. Hand Sanitize Stations are located at all animal contact areas. Safari Train can accommodate 1 wheel chair per ride. Let the ride operator know upon check-in. Safari Skyride can be stopped for anyone who might need extra time boarding. 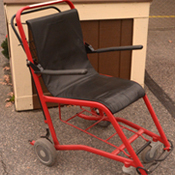 Participant will be required to transfer from wheelchair to sky ride chair. *Adult Chairs are available for rental. See below. Pricing is for all day rental. *Adult Chair is similar to a wheel chair but requires someone to push it. The Metro Richmond Zoo offers free parking for all guests.